Industries that pollute the Cully neighborhood. 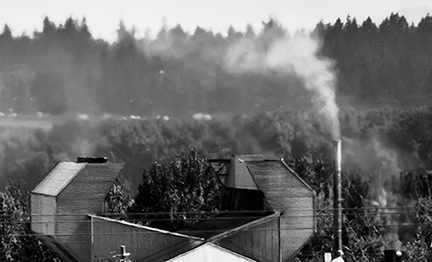 In the Cully community of NE Portland, diesel pollution is a serious nuisance and a dangerous pollutant. The Cully community is a very diverse one, including elderly homeowners and retirees, new families starting out with first homes and their first children, immigrant families fleeing war and terror, Native American and other minority populations, and working homeowners and renters. We have done a great deal, collectively, to make our community into a vibrant and protective place for residents, gardens, and animals. Many Cully residents take great pains to insure their food gardens and yards are pesticide free and organic. The same is true for neighbors who have beehives, chickens, pigs, goats and even a few alpaca. All of these are impacted by PM, soot, and diesel pollutants in ways dangerous to individual, livestock, and property health and safety. As currently impacted, Cully sits amidst many transportation corridors, including Interstate 205, State Route 30, Columbia Highway, the UP east-west rail-line that BNSF uses, and PDX international Airport. These all combine to create a huge amount of PM, soot, and other diesel pollutants. Cully, and adjacent local neighborhoods, also include many Title One public schools that are directly affected by PM pollutants, including Prescott St. Elementary, Helensview Alternative High School, NAYA Early College Academy, Sacajawea Head Start, and many other schools for the youth and toddlers in our communities. It is true that our neighborhood is becoming stronger and cleaner, especially now that the State and agencies are recognizing our diversity as a strength, and the fact that our community was formerly designated as a place to sacrifice environmental health and sustainability for industrial growth, but diesel pollution continues to be unaddressed and to create significant risk for all of the community and her members. Over the last few decades we have all seen the shifting of overland transportation to include a greater amount of long-haul medium and heavy-duty trucks using diesel engines. Unfortunately, it seems our State legislators somehow forgot to insist that transportation and construction companies utilize technological upgrades for their diesel engines and insure a cleaner fuel burn/exhaust pollutant ratio. This was a technological development that Oregonians could have benefited from, especially in these current days of high health-care costs and increasing Special Education services needed in our public schools, but that we somehow missed and failed to implement. As I am sure you all aware, Oregon lags behind the other West Coast American states in providing this diesel pollutant relief to Oregon’s residents. Why that happened is matter of debate, I suppose, and yet here and now is when and where we can actually rectify and correct this dangerous situation and excessive release of PM, soot, and other diesel pollutants. HB 2007 is a welcome effort to address the dangerous health implications from excessive PM, soot, and other diesel pollutants. The state needs to incorporate standards to insure diesel operators use the Best Available Control Technology (BACT) in their engines, at least at the same level as the West Coast states. This should be immediately mandated for all companies with fleets larger than 50 medium and/or heavy-duty diesel trucks, construction companies, and mandated for smaller (less than 50) operators as quickly as possible. Further additions to this bill in the form of Amendments should include provisions for the State to enforce a no-idling rule for trains and trucks and allow citizens to monitor and report on illegalities, as well as repealing ORS 825.615. An Amendment to mandate that all public and private development projects, near a community larger than 10,000 people, limit diesel pollutant release to show periods of time not to exceed two hours unless occupational safety is indicated.should also be included. 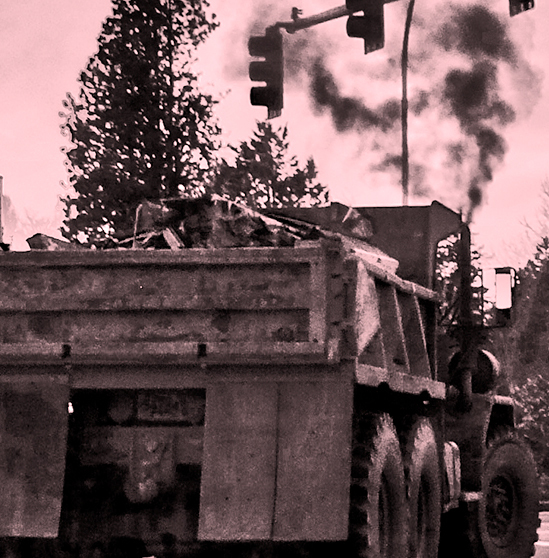 Given the negative health effects of diesel pollution on human health, including asthma, bronchitis, reduced immune system functions, emphysema, Autism Spectrum Disorder (ASD), Attention Deficit (hyperactivity) Disorder (ADD/ADHD), and cancer, company’s with more than 50 medium and heavy-duty diesel trucks need to maintain environmental liability insurance so that the state does not have to pay for legal issues arising from the negative medical effects of any excessive state-sponsored pollution levels in the future. CAN, The Cully Association of Neighbors, and CAAT, Cully Air Action Telemetry, urge legislators to strengthen and pass this important Bill, HB 2007, and implement the rulings as soon as possible. CAN and CAAT are community organizations based in the Cully neighborhood NE Portland, Oregon, and reflect the needs of local residents regarding community issues. In these final comments from the Cully Air Action Team (CAAT), on the permitting of the Owens-Brockway facility site, CAAT re-emphasizes the need for independently verifiable testing and monitoring of pollutant releases for the plant, rather than the current industry provided data, or, projections based on company-reported data. CAAT also insists that DEQ uses its authority to protect the local community’s health by insisting the Owens-Brockway facility install TBACT filters on all dangerous airborne release vectors within the Owens-Brockway site. CAAT would also like to remind the Oregon DEQ and OHA that if the state does not assume authoritative control over regulation and subsequent negative health effects of ambient metals, HAPs, and other toxic releases from Owens-Brockway, that the state becomes an active participant in harming the community, the population, and local wildlife. 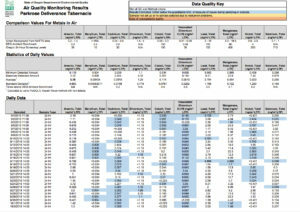 After eight days of air quality registering over 50 and at times close to 100 in terms of the PM 2.5 Air Quality Index, according to the DEQ Helensview monitor (October 16-24, 2018), it is clear that Cully residents being subjected to a toxic stew of nuisance odors, PM, and unfiltered HAPs. 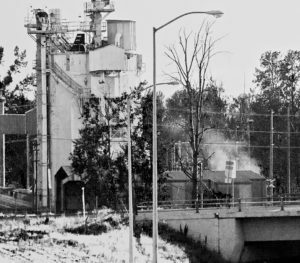 These airborne pollutants may includied Chromium, Lead, benzene, and other carcinogens and developmentally dangerous pollutants released from the Owens-Brockway site. 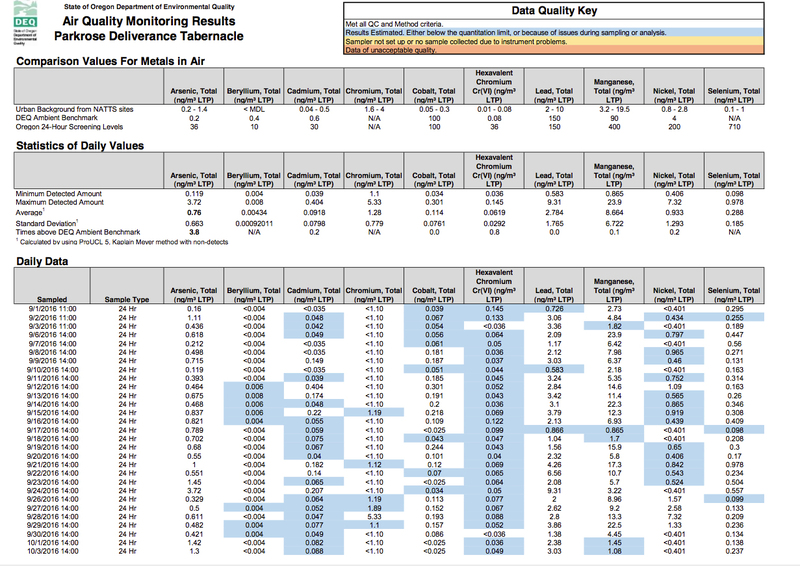 During a recent stoppage of the Owens-Brockway facility due to disrupted natural gas supplies, the air was noticeably cleaner and the Helensview monitor indicated that (October 10-15, 2018). The nuisance odors, and the less noticeable toxicity leading to negative health and developmental effects on vulnerable populations, including newborns and elderly, are occurring again, now that the Owens-Brockway facility is up and running. There are three schools, and many gardens and fruits trees, and many families and low-income neighborhoods within a mile of this polluter, Owens-Brockway. 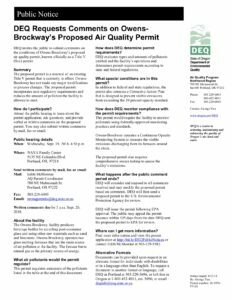 The Owens-Brockway site lacks TBACT filters and DEQ needs to mandate TBACT filters on all furnaces and stacks as a condition for reissuing this permit. The Hazard Index being experienced by local communities from Owens-Brockway pollutant releases must be recognized and protections enforced by state agencies, including Oregon DEQ. Waiting for severe health effects, including death, cancer, and CNS-related childhood ailments from the chronic exposures and synergistic effects of numerous pollutants, would be a terrible crime inflicted by the state on the vulnerable communities living and attending public schools near the Owens-Brockway site. It would also be a continuation of the previous disregard the state of Oregon has inflicted on poor communities and vulnerable and racially-mixed populations. Again, the severe and negative health effects from the pollutants released from Owens-Brockway unfiltered furnace stacks and hazardous waste management are occurring now. These effects are falling onto and are being breathed in by pregnant women, children, the elderly, community residents, and local fish and wildlife populations subjected to the chemical and ambient metal pollution from the Owens-Brockway facility. 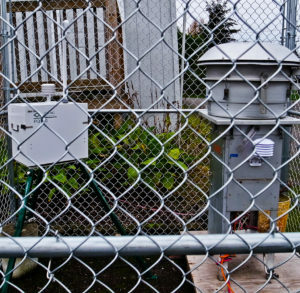 Given the opportunity for exercising authority to protect the health of the people of the state of Oregon, DEQ must insist that issuance of a new permit for Owens-Brockway includes the installation of TBACT filters to filter out the dangerous poisons this company releases on a daily basis into the community, and independent and verifiable monitoring of pollutants from the facility. 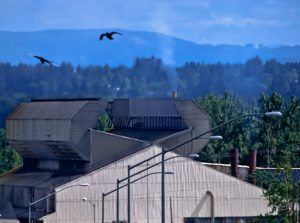 Owens-Brockway at 9710 NE Glass Plant Road, Portland, OR 97220 releases at least 300 pounds of Lead into the air every year, and released 213 pounds of Chromium in 2016. The company has been fined for sloppy hazardous wast management practices. The facility operates two burners and only one has a fabric filtering device. On Monday, September 10 2018, a fire at the facility resulted in a loss of power. During the power outage, process water flooded the basement and mixed with some oil. Some of the oily water discharged to the stormwater system and made it to Johnson Lake. The facility is currently up for a renewal of their Title V permit, and Oregon DEQ wants your input. Please attend this meeting at NAYA Family Center, 5135 NE Columbia Blvd., Portland, OR. 97218, on Wednesday, September 19, 2018 at 6:30 pm. This meeting will take place on Wednesday September 19, 2018 at NAYA Family Center, 5135 NE Columbia Blvd, Portland, OR. 97218. The meeting will start at 6:30 pm. Owens-Brockway Glass Container, Inc., a subsidiary of Owens-Illinois (O-I), is located at 9710 NE Glass Plant Road, Portland, OR 97220. Owens-Brockway is a Title V (Title 5) polluter. As such, they are at the highest regulatory level, primarily because of their release of Criteria Pollutants such as Lead and Sulfur Dioxide. 1: Owens-Brockway released 300 pounds of ambient (airborne) Lead in 2016. Lead can accumulate in the body, particularly in bones. Lead can cause brain damage, reproductive problems, high-blood pressure, kidney disease, and nervous disorders. 2: Owens-Brockway released 213 pounds of Chromium in 2016. Chromium has different forms, and there are many negative health effects associated with chromium exposure, including asthma and chronic bronchitis. Chromium6 is a carcinogen. The children, teachers, education workers, and para-educators who attend and work at these schools deserve better protection from industrial pollutants. 4: Owens-Brockway currently only uses one fabric filter on one of their burners. They should be using the Best Available Control Technology (BACT) to filter out dangerous pollutants, such as a wet-bag filtering unit, on all of their polluting burners. 5: Owens-Brockway has been fined by DEQ this year for shoddy hazardous waste control. 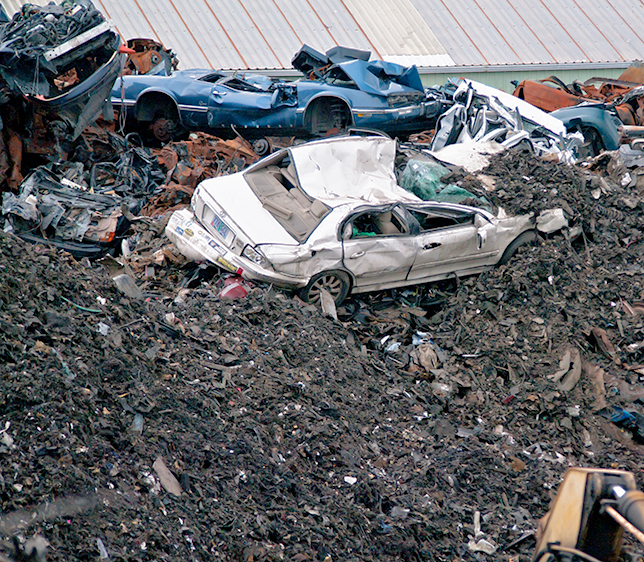 Where did that hazardous waste end up? Did it go into Johnson Lake, just north of Owens-Brockway, and then into the Columbia Slough? 6: Cleaner Air Oregon (CAO) is still being worked on. It is wrong to permit a Title V industrial polluter before CAO is on the books. ➢ The new Thomas Cully Park, that the city and county spent a whole bunch of money cleaning up, is very close to the pollution source, Owens-Brockway. Please see the pdf file below. CAAT is asking for an extension of commenting period. NAYA, 5135 NE Columbia Blvd. 6:30 pm, on September 19th regarding Owens-Brockway pollution. 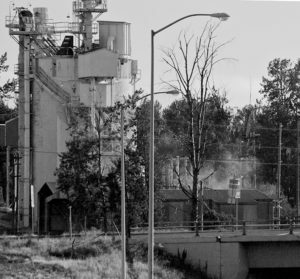 Porter Yett, the asphalt manufacturing facility on Cully Blvd between Portland Highway and Columbia, is the largest source of community nuisance odors complaints to DEQ locally, and one of the main concerns for CAAT in terms of focus. Their releases of noxious odors have long plagued the neighborhood. CAAT has been working with DEQ to pressure the company to take some responsibility for these contaminants and health effects, and to mitigate the odors. It is with a sense of optimism, tempered by skepticism, that we welcome Porter Yett’s announcement that they will be using a new containment and filtering system called Blue Smoke Control to mitigate odors. Blue Smoke Control seems a promising and innovative system. The new Control system provides a more robust filtering system than the previous odor removal systems used by Porter Yett. From the company brochure it seems that all production areas, from the entry of aggregate into the boilers for heating, to off-loading the finished asphalt into trucks will be in containment and toxic fumes filtered. Whether or not this truly ameliorates the problems of nuisance odors and toxicity release remains to be seen, or smelled. But CAAT is hopeful that Porter Yett’s initiative on mitigating the stench does work, and we applaud the company for moving to install this technology. CAAT will continue to closely monitor this new development as the spring and summer paving season, with high asphalt production volumes, commences. It will still remain important for community members to file complaints about any noxious odors with DEQ, so that we at CAAT can follow-up and pressure DEQ into actionable response.